Volunteers are the heart and soul of United Way. When it comes to building community and changing lives in Peterborough City and County, we couldn’t do it without volunteer support. Learn more about Becoming a United Way Volunteer. Jim Russell, CEO United Way Peterborough & District announced today at the United Way office on Stewart Street that local accountant and entrepreneur, Gwyneth James, MBA CPA, CGA would Chair the 2016 Community Campaign. Gwyneth was born in British Columbia and graduated from the University of British Columbia with a Bachelor of Science and Microbiology in 1985; later coming east to the University of Ottawa to complete her MBA in Finance in 1993. Gwyneth continued her education receiving her Certified General Accountants Designation in 1997. She eventually took on the role of Controller and Manager, Business Development at Nexicom for 11 years and then made an entrepreneurial leap into Financial Consulting and Accounting as a Partner at Cody & James CPAs in early 2009. Gwyneth has devoted countless hours to our community through a variety of local organizations including; Women’s Business Network, Community Futures Development Corporation, Peterborough Economic Development, Greater Peterborough Chamber of Commerce, Fleming College, Five Counties Children’s Centre Foundation, Peterborough Theatre Guild, and Peterborough Symphony Orchestra; some in roles as Board Chair and President; including Past Board Chair and Cabinet Member of United Way Peterborough. Gwyneth is a natural and well-respected leader. Gwyneth believes it takes a whole community to build a strong community. “A strong economy is only half of the equation. We need to leverage the strengths, experiences and expertise of everyone if we are to succeed. Having been involved with the United Way for many years in the past, I’ve seen firsthand the power of the organization and I strongly believe in its direction and reach,” says James. “Chairing the 2016 Campaign is a wonderful opportunity to combine my passion for business development with helping all our community’s citizens become healthy contributing members of society. I’m humbled by the responsibility of the role and what it means to so many in our community,” James added. Gwyneth brings a passion to both her work and volunteer activities, affirms Russell, “Reflecting on United Way’s 75 years in our community, we looked for an individual who is well respected and a leader. On March 22, 2016, volunteers took to Peterborough streets, shelters and meal programs to count and survey the homeless population for Peterborough’s first Point-in-Time (PiT) Count. From 9:00 a.m. until 11:00 p.m., fifteen teams surveyed two meal programs, five shelters and eight routes throughout the city. While each team had their own experiences, a commonality emerged from the day, most interviewed were grateful to share their story, “They wanted their voice to be heard,” was echoed by numerous volunteers. Thrilled with the support and involvement from our community for Peterborough’s PiT count “We applaud all 55 volunteers who generously contributed 302 hours of their time and energy to support iCountPtbo,” says Jim Russell, CEO United Way Peterborough & District. “Throughout the day our United Way office was full of energy as volunteers left with their teams and returned hours later, most of them dripping wet, the cold rainy weather did not dampen their spirits,” added Russell. 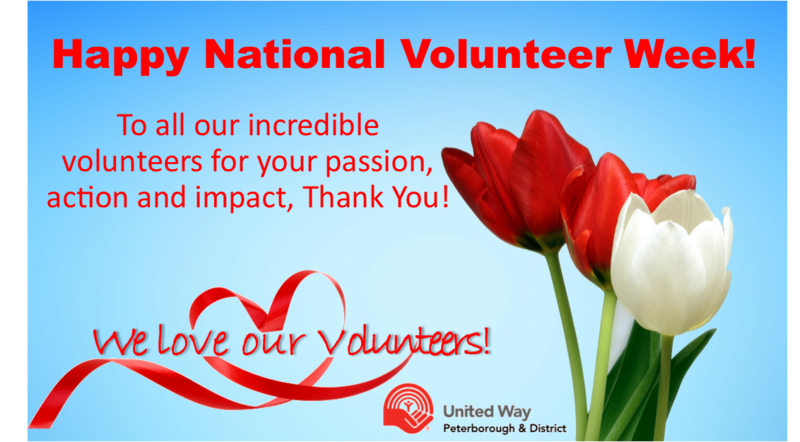 Volunteers play an essential role in all initiatives and operations of United Way Peterborough. Brock Mission, Cameron House, YWCA Crosswords, YES Shelter for Youth and Families, The Warming Room and City of Peterborough for assisting with this year’s count. Mark Woolley who donated his time to develop individual map routes for our street count teams to follow with ease. Merrett Home Hardware for generously supplying low cost equipment for our survey teams. Domino’s Pizza – Parkhill for providing nourishment for our volunteers. A detailed report on Peterborough’s Point-in-Time Homeless Count will be released to the community June 28, 2016. A PiT Count is not intended to be a measure of everyone who experiences homelessness in a community over time. By focusing on a single day, the count will not include some people who cycle in and out of homelessness. What it will do, is provide an estimate of how many of these people are homeless at a given time. It’s also not intended to be a count of hidden homelessness (e.g., people who are “couch-surfing”). The focus of the count is instead on those who are absolutely homeless (e.g., sleeping in shelters or on the street) on the day of the count.